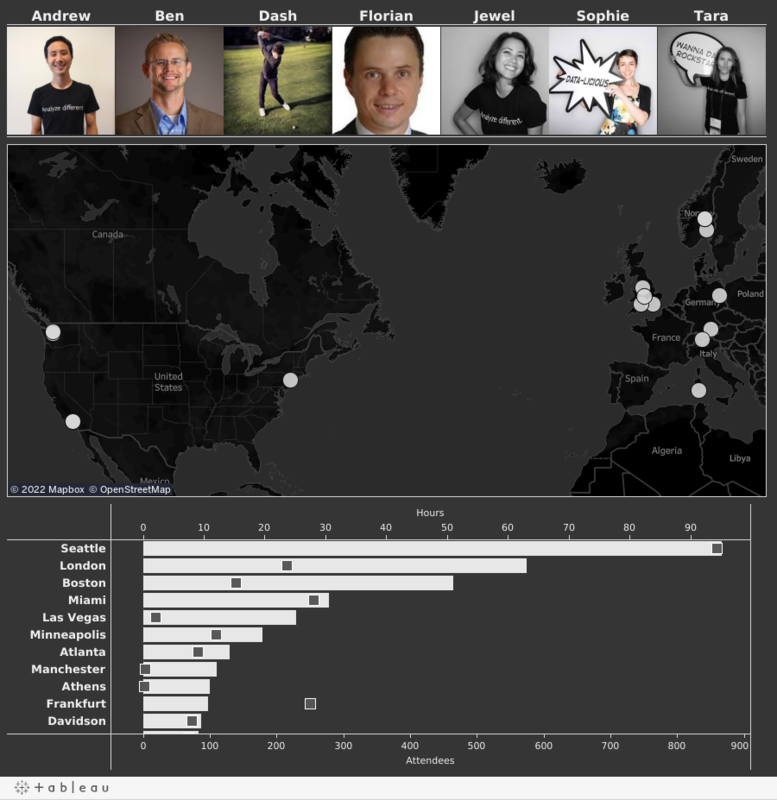 2015 has already been a very busy year for the Tableau Public team. We are currently based in Seattle, London and Frankfurt and we have traveled extensively throughout the globe in the first seven months of this year: to 11 different U.S. states and 4 foreign countries. We travel to evangelize about Tableau Public and to train journalists and bloggers in their home locations, definitely one of the most exciting and rewarding parts of our job. Over the course of our travels thus far in 2015, we have personally trained 2,634 people for a combined 218 hours. Below is a visualization showing the different trips undertaken by the different members of the Tableau Public team. “Thanks to the help of the kind folks at Poynter, I met Brett Blackledge from the Naples Daily News in December 2014. Through him I connected with a variety of media outlets all over Florida, and arranged a whirlwind 15 day trip. Working with all of these journalists in such a short time was a lot of fun. As for highlights, on the Tableau side, nearly every group provided some really interesting datasets for us to work with, on topics from the environment, to social justice. It’s always fun to work with these after we’re done with the basics because we get to ask novel questions together and come away with some interesting insights. I’d love to go into details but I don’t want to accidentally scoop someone. 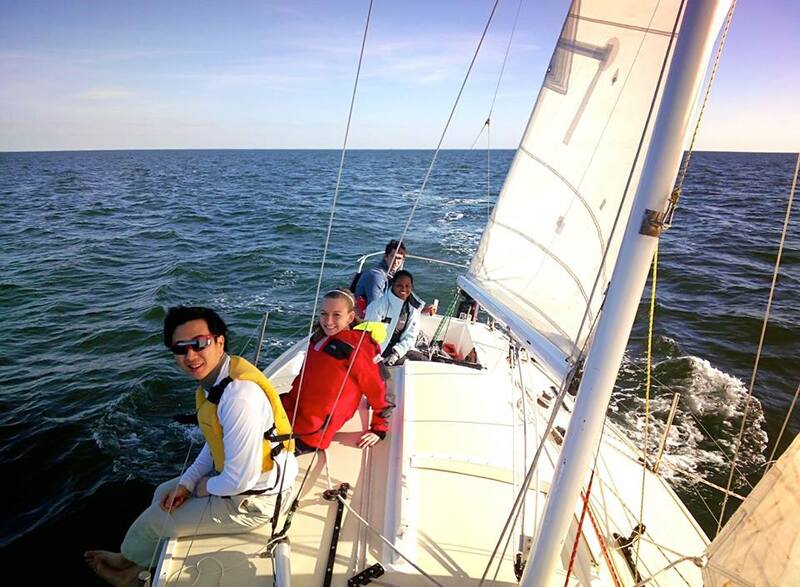 On the non-Tableau side of things, on one day I wasn’t working, I was able to get out on the water with the USF Offshore Sailing Team...There's me in the yellow life jacket! “I had the privilege of meeting and training journalists with a wide range of backgrounds and experience with Tableau. Norway is doing some pretty exciting data journalism and it was fantastic to make connections with so many talented journalists, many of whom I hope to catch up with at the Global Investigative Journalism Conference in October. Many of the journalists I met with had some great feedback on Tableau Public and how they use it for their projects - which was great as feedback is something we always really value. 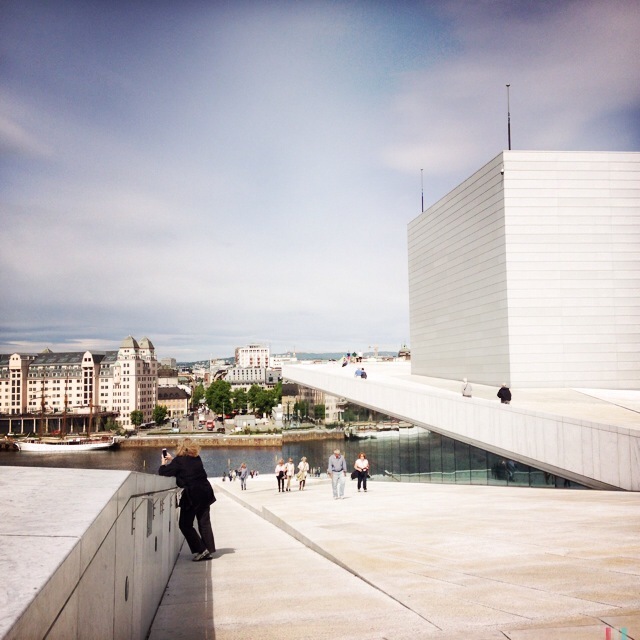 It also helped that Oslo is such a beautiful city and everyone there is really friendly! Below is a picture of me standing on the roof of the Norway Opera House at 11:30 PM." We love to travel and take our Tableau Public trainings on the road. Do you work in journalism? Are you interested in learning from us experts how to visualize your data with Tableau? Let us know, drop us an email at public@tableau.com and maybe we can add you to our list of ever-expanding places to visit. Hope to see you soon!